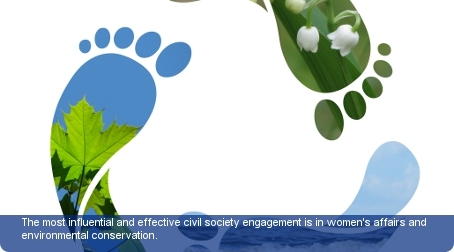 The most influential and effective civil society engagement is in women’s affairs and environmental conservation. Unlike in most countries, there are no broad-based civil society coalitions or umbrella bodies to note. Most of the coalitions are bodies dealing in single issues. The Singapore Environment Council serves as the peak body for all environmental NGOs and acts as a catalyst for the promotion of public awareness of the environment. Women advancement affairs receive a lot of influence from the Singapore Council of Women’s Organisations (SCWO), a national co-ordinating body for women’s organisations. SCWO unites various women’s organisations, clubs, committees, groups and women leaders in working towards promoting and improving the status of women at the social, economic and political levels. It is the country’s non-governmental representative on the ASEAN Committee on Women (ACW). International NGOs have a high-profile relationship with the government of Singapore due to the government’s concerns of excessive intervention. Legislation includes the Charities Act of 2007 which demands access to certain criteria and requirements. Under the Societies Act all NGOs must register, and a minimum of 10 persons must put their name to the application form. All registered organisations must meet the Societies Act’s exacting standards with respect to their operations and funding. NGOs may also register as companies limited by guarantee under the Companies Act. The majority of trade unions are associated with the National Trade Union Congress (NTUC) which is closely linked to the ruling party, the People’s Action Party (PAP). This close relationship with the unions means strikes rarely occur. In addition, there are three independent trade unions which are not affiliated with the NTUC.